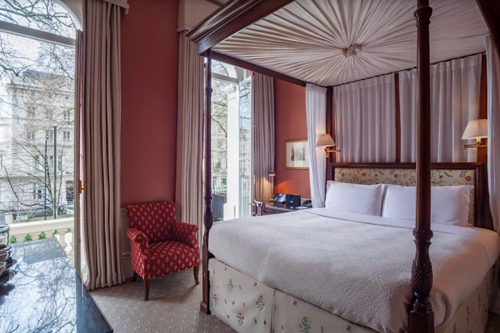 A short walk from Hyde Park with stunning views over the leafy Westbourne Terrace lies Roseate Hotels & Resorts’ luxury boutique hotel, Roseate House London. 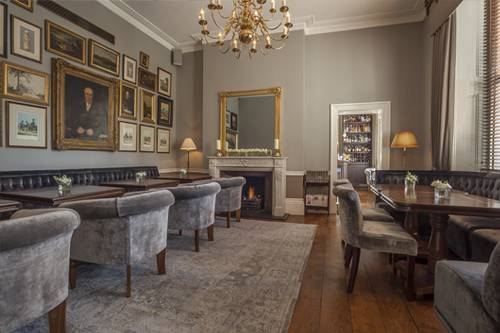 The opulent auberge offers a stunning view of the street once described as the ‘finest in London’ facing St James Church, where Oscar Wilde espoused. If Easter eggs leave you feeling a little hollow, why not indulge in something sumptuous. Roseate House London presents its signature Easter Afternoon Tea. Begin your Afternoon Tea experience with a Easter themed cocktail on arrival, a traditional array of freshly baked scones served with clotted cream and jam, delectable finger sandwiches followed by a delicious assortment of Easter themed sweets. We have a special Sunday lunch menu to make it a perfect Easter Sunday for you and your family. Celebrate the joy of spring, join us for a delicious lunch with all the trimmings followed by a marvellous Easter egg hunt around the grounds of the magnificent Sussex Gardens, located on Westbourne Terrace, next to Roseate House London. This bespoke tasting is for Gin enthusiasts and Afternoon Tea lovers. Guided by our mixologist, you’ll taste your way through a selection of different gins before ending the masterclass with a large G&T of your choice to enjoy with your Afternoon Tea. Book your stay 14 days in advance and save upto 20% off our Best Available Rate. Book your stay directly on our website to avail a special discount of 10%. Stay longer with us and avail exciting discounts.